This guide is currently out of print. add up so that the two together cover ALL the species found within CA, and 29 more species found in the greater Southwest. The inside of the dust jacket contains images and information on 6 CA/northern endemic species not included in the Southwest Guide. 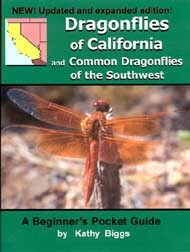 - includes all the species found in southern CA and more of the species found in northern CA than the out-dated CA only guide did. We've used PayPal almpost 20 years and it has worked flawlessly, plus it's a GREAT way to do International Business!